Do you remember the story about crabs in a bucket? You may remember it is a metaphor referring to a bucket of crabs who won’t allow others to escape which ends in their collective demise. 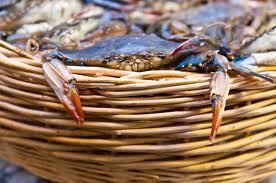 I believe some of life’s challenges are much like being a crab in a bucket. A simple understanding of this principle will give us power to overcome. If being successful brings unwanted enemies or fickle friends, go ahead and prosper. When kindness is perceived as having ulterior motives or being selfish, continue being thoughtful. If being honest drives others to deceive you, maintain your sincerity. If what you spent a lifetime building can be destroyed by others, build build build. If your happiness generates jealousy, continue promoting good. At the end of the day you feel your efforts could go unnoticed, endure to the end. When your humility is thought to be weakness, maintain respect for the unknowing. If your stance on principle is misunderstood, be open and teach. When you have given your all, be satisfied regardless what is said; your sustained growth will open doors for you and others too. So remember when people seem unreasonable, irrational and even self-centered; they are in the bucket with you trying their best to climb out, or at least pull you down in with them. Most importantly, those who keep others from succeeding never succeed themselves. When another is in need, lift them out; they in turn will see you too find the way. This entry was posted in Life and tagged crabs in a bucket, happiness, honestly, humility, metaphor, success. Bookmark the permalink.